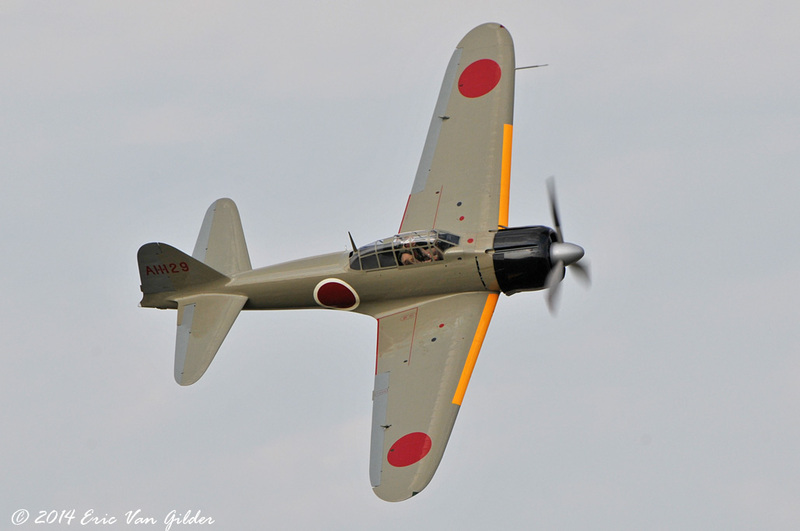 The Mitsubishi design bureau drew up the plans for the A6M Zeke/Zero, however a majority of them were manufactured by Nakajima, including this one that is operated by Last Samurai LLC. 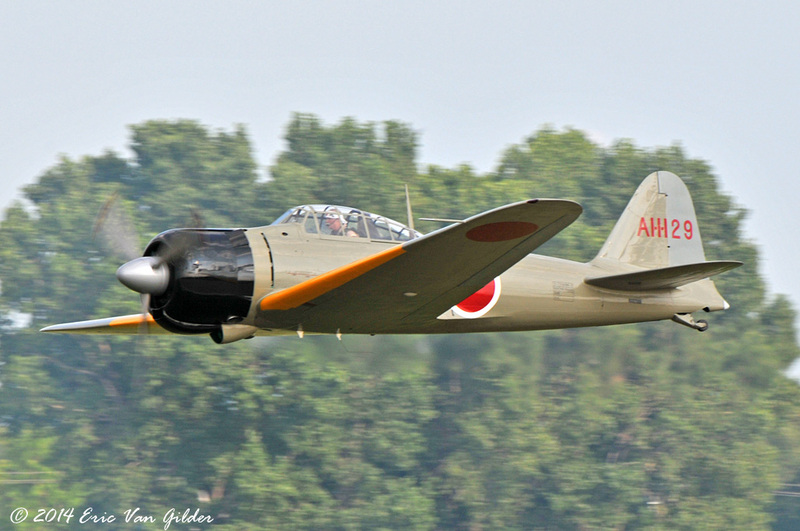 In the early days of WWII, the Zero earned a reputation as a great fighter. 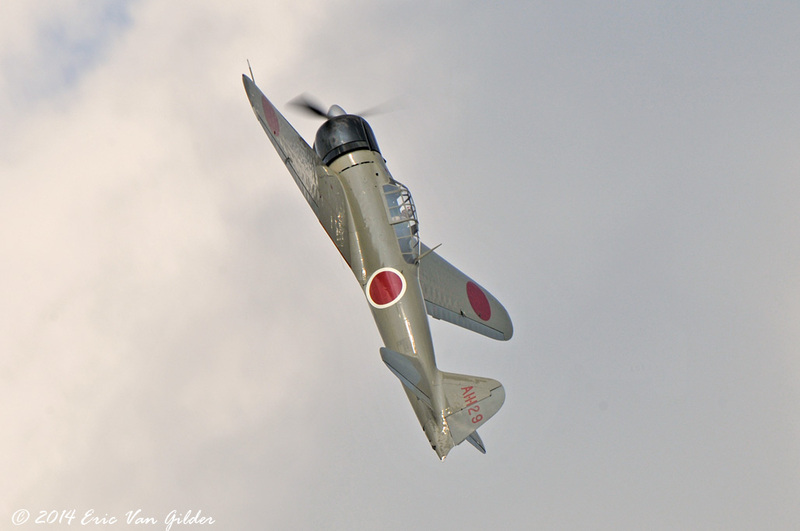 The Zero had great range and was very nimble at low speeds. 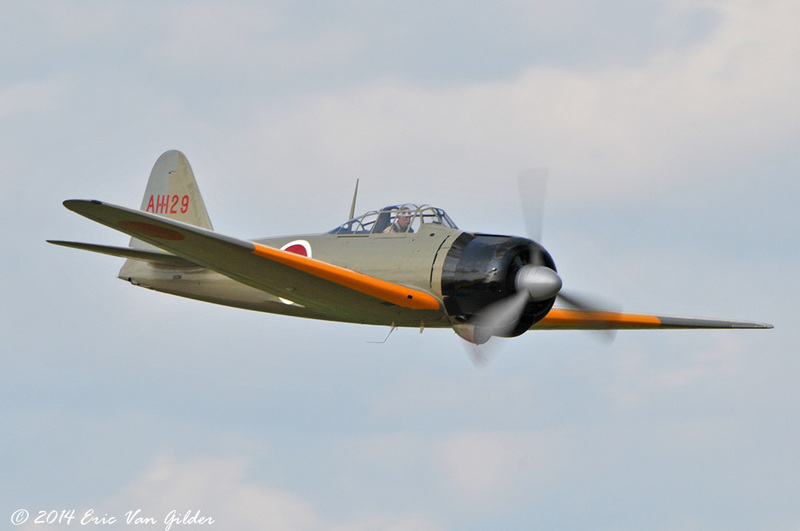 Below about 250 MPH, the Zero could out-turn most allied fighters. 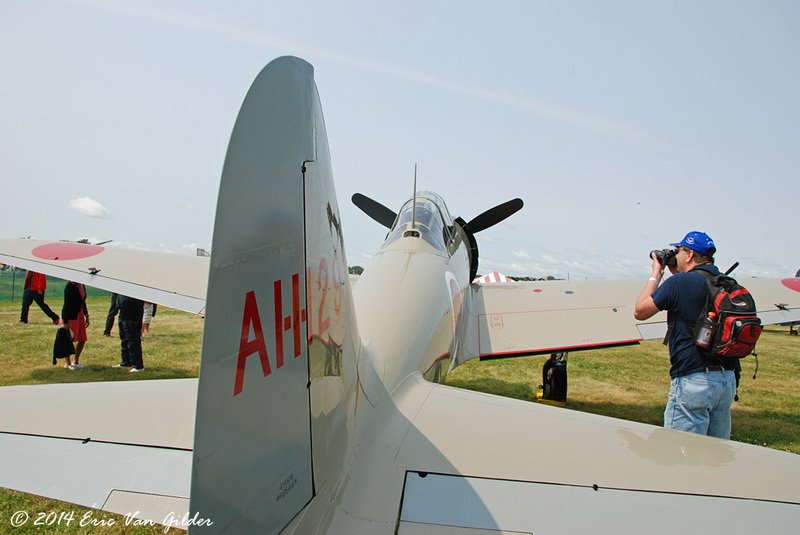 Many allied pilots learned the lesson the hard way before tactics were developed to counter the Zero's strengths while exploiting it's weaknesses. There is next to no armor plate in the airplane and the wings do not have self-sealing tanks. 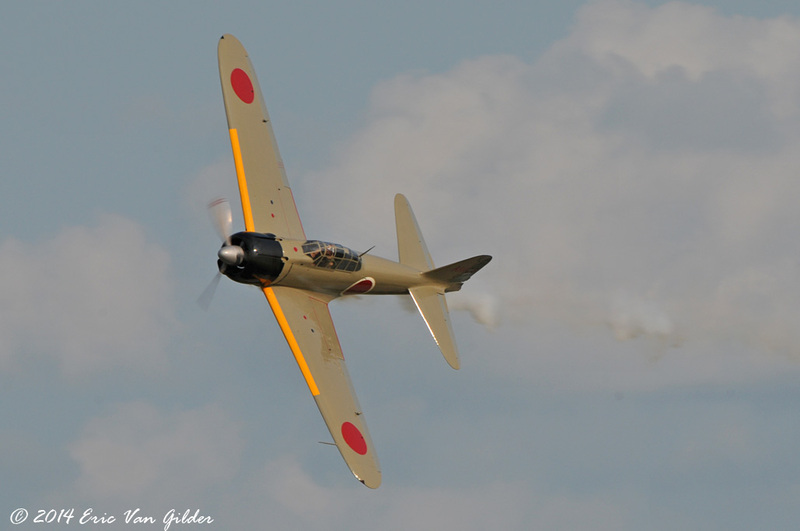 Contrary to the myths of the Zero, it did not have an overwhelming kill/loss ratio at any time against the US Navy. 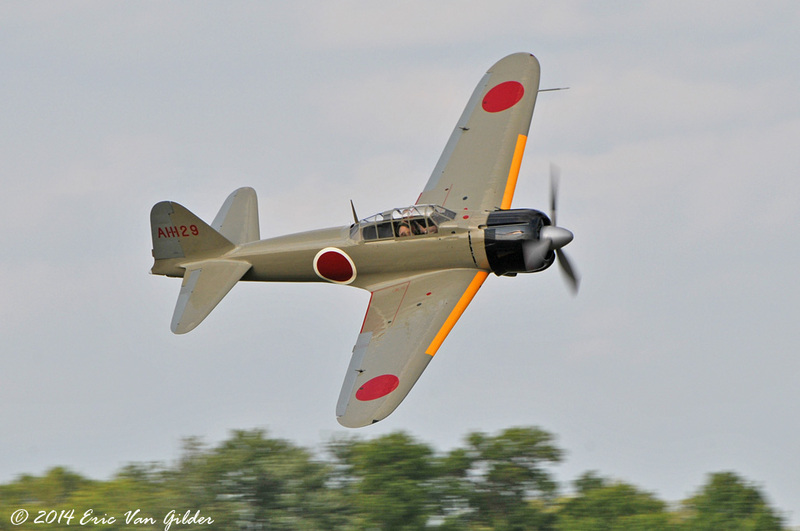 Over 10,000 Zeros were manufactured during the war. 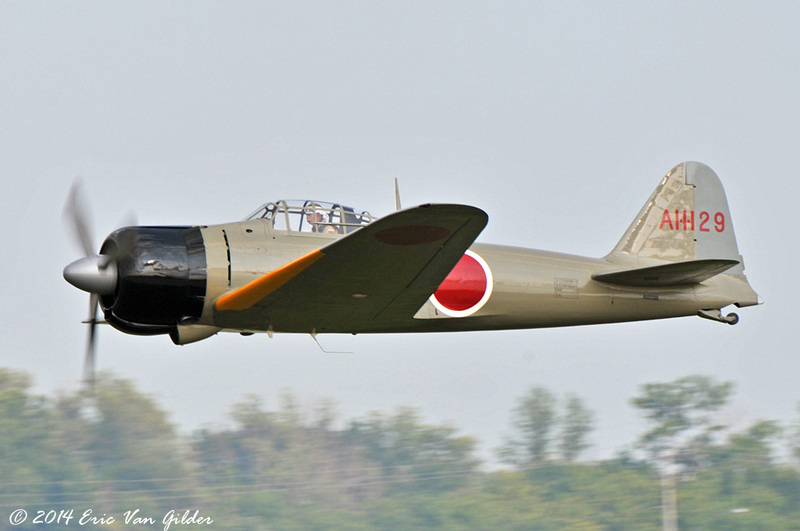 Today only a handful remain in flyable condition that are flown.